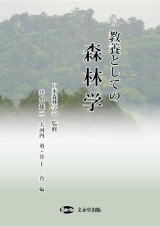 抄録：　This paper focuses on the tree diameter and height distribution modeling and prediction technique, which better reflects the tree size dynamics in a stand. The evolution of the tree diameter and height structure in a forest stand is modeled using the bivariate fixed- and mixed effect parameters Bertalanffy type stochastic differential equation, resulting in a new biologically plausible class of bivariate lognormal probability density functions of the tree size components for response to the average stand age. The newly developed bivariate lognormal shape probability density function of the tree diameter and height at a given stand age can be used to describe the evolution of the mean diameter, height, stem volume, and stand volume per hectare in a stand in the forward and backward directions. Fixed and random effects are estimated by the maximum likelihood procedure using the Scots pine trees dataset in Lithuania. 抄録：　The forest experience can improve visitors' well-being even after a short time of walking in minutes. The effect of physical factor changes in urban forests on blood indices has not been well determined. In this study, thirteen university students (seven males and aged 21 years-old) were recruited to visit birch (Betula platyphylla Suk. ), maple (Acer triflorum Komarov), and oak (Quercus mongolica Fisch. Ex Ledeb) forests each for one hour. Participants' systolic and diastolic blood pressures (SP and DP, respectively) and heart rate (HR) were measured before and after the forest experience. Micro-environmental factors of temperature, relative humidity (RH), photosynthetic photon flux rate (PPFD), and spectrum ratios of red (R), green (G), and blue (B) lights were also monitored. Either SP or DP did not respond to forest bathing among forests with different tree species. The change of HR in maple and oak forest was higher than that in the birch forest. Initial values of SP, DP, and HR before forest bathing were negatively correlated with their changes in the forest. DP was also negatively correlated with PPFD before participants went in the maple forest. After forest bathing, DP was correlated positively with RH but negatively with temperature. In conclusion, light spectrum can affect the blood pressure with the corresponding changes of temperature and humidity during visiting urban forest by university students. 抄録：　To demonstrate the dynamics of forest patches in the Mongolian forest-steppe ecotone and examine how forest structure changes with distance from the forest edge, we investigated forest structure and tree age according to two spatial scales: transects and quadrats within transects. The transects shifted with distance across the treeline and we focused on two representative tree species (Larix sibirica and Pinus sibirica) in Gorkhi Terelj National Park. Pure L. sibirica stands were observed in quadrats with a lower maximum tree age; in contrast, P. sibirica occurred only in quadrats with a maximum tree age over 100 years. This result indicated that the forest patches experienced successional changes from L. sibirica to P. sibirica. In all transects, tree stands mainly presented multi-aged regeneration patterns. Disturbances such as forest fire may result in the regeneration of younger L. sibirica. The basal area and maximum age increased with increasing distance from the treeline. The increase in the basal area and number of P. sibirica saplings suggested that succession from L. sibirica to P. sibirica was more advanced in the forest interior than at the forest edge. Differences in the disturbance regime may explain the changes in forest structure that occur with increased distance from the forest edge. 抄録：　Bamboo is widespread throughout southwestern China. Empirical field research on the health benefits of bamboo forest therapy is currently lacking. The objective of this research was to investigate the effects of a three-day stay in a bamboo forest on the psychological responses of participants. In our study, 120 volunteers between the ages of 19 and 24, including 60 males and 60 females, participated in the test. Four sites were selected for the test, including two natural bamboo forests (YA and YB), a bamboo park (DJY), and an urban environment (CS). During the testing period, all participants were asked to view the landscape for 15 minutes in the morning and then walk in the testing area for 15 minutes in the afternoon. A profile of mood state (POMS) questionnaire was used to evaluate mood. In the bamboo forest environment, the scores of the participants for tension and anxiety (T-A), anger and hostility (A-H), depression (D), fatigue (F) and confusion (C) after forest therapy were significantly lower than those of the participants in the urban area, while the scores of these participants for vigor (V) were significantly higher than those of the participants in the urban area. These findings provide scientific evidence that a three-day session in a bamboo forest can increase positive mood and decrease negative mood. The potential for a longer-term effect on visitor psychological health requires further investigation.